This event has been held annually over the three years of my stewardshipship ( and I understand many more before) by the kind invitation of Mrs Anne Procope who invites us in memory of her husband Fred Procope. It was quite special that Anne was able to join us for the meet and the club took a few moments in silence to remember Fred Procope and Barry Rooth both of whom had contributed greatly to the club. Anne received our gift of flowers with our wish they would bring back happy memories. 23 dogs entered and our Judges Sue Lowe and Will Hales were invited to be creative with their test. A safari of 4 static tests ran during the morning, which was new to 3 Ridings, and gave all competitors a minimum 8 retrieves. No eliminations despite a wide range of experience and ability displayed by dogs and handlers. Sue and Will took time over lunch to make a cut and take 10 dogs forward to a further 2 retrieves each and were able to make final placings. The ground was used well to produce a mock drive during which dogs were required to remain steady and then walked in line, in the opposite direction, to face marked retrieves in front as well as being sent back for a memory from the drive. More complex to describe than actually run, but it gave clear scores to produce 4 places and 3 Certificates of Merit. Sue and Will have a history of being generous with their time, and once again invited competitors who had not run in the Walk Up to do so, as a training exercise. Not surprisingly many did. The sun had shone all day on the righteous, and they gave a very well deserved thanks to our judges Sue and Will, and also to those members who consistently turn out to help. By the way when will you next do so? The commitment and effort from our judges to give everyone a great day of such high value. 3 of the 4 winners were new members and the further 3 COMs displays the standards the club is again achieving. In joining us for lunch, our host expressed the hope that we will be able to run again next year at Skipster Hagg. I trust the club will not consider me presumptuous in accepting the invitation! The event was initially oversubscribed but a number of Open dogs were withdrawn prior to the event and that allowed some novice dogs to take on this challenging ground. Competitors met at the Lion Hotel, which can only be described as being at the top of the world with fantastic views that make you proud to be Yorkshire! We enjoyed the company of a French competitor, Ms Estelle Villier who I asked present a gift, with the clubs thanks, to Will Watson a Game Keeper on the estate. Will took the opportunity to tell us about the North Yorkshire Moors Moorland Organisation. www.nymmo.org I invite all members to have a look at this initiative, its well worth a google, and do leave a comment. These boys really do deserve our support. The drive across the moor on the private road is long and slow but the views down into Farndale are wonderful and the ground and lunch hut, given generously for our use, make it worth the drive. 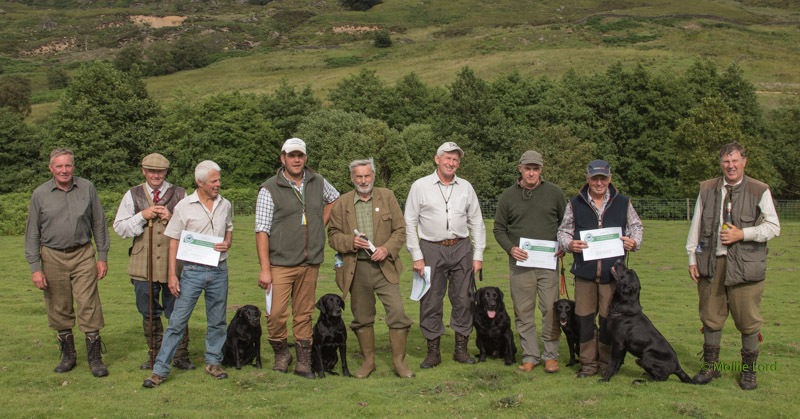 The “white ground” is not overly steep and is a typical mix of bracken, sieves and grasses and our Judges- Cliff Chase, Paul Sykes and John Cavana made good use of it, but 3Rs dogs were well up to it. Too well in fact as by 3.30pm we still had 5 dogs to try and separate and decided that they would all be asked to take the same, very long, blind retrieve under the scrutiny of all 3 Judges. This did decide the winners but only by a small margin. Member I know consider FT Secs must be mad to take on the job. When I watched 5 good handlers running top standard dogs and then, sportingly, shaking hands with each other and with the judges before we even announce the results, I realised the pleasure I get in putting these tests and trials together. Thanks to all competitors, Judges and Helpers on the day, and to R & W Estate for making us so welcome. Report on Novice Cold Game Test at Gill Rudding Park, Escrick August 21st 2016. 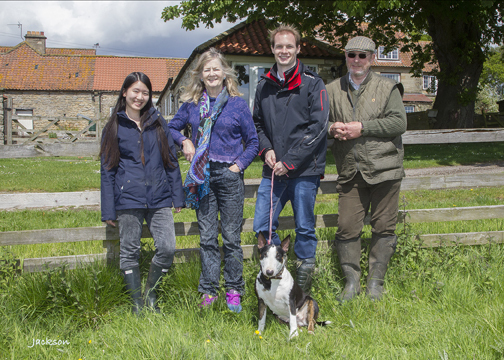 A large and healthy crop of Sugar Beet owned by Mr Graham Atkinson was kindly made available for 28 dogs to run in a Walked Up event, held in perfect summer weather. George Longden passed away a few days earlier. A long and active club member, George was one of the first to welcome and help me on event days, – the club stood in silence in his memory. Thank you George and 3Rs. 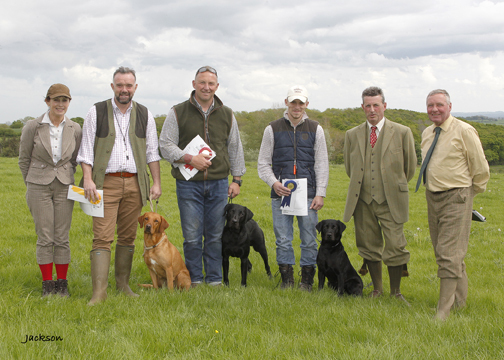 Judges Sarah Coomber Smith, Alan Brentnal, Clifford Chase and Phil Smithies agreed to allow all competitors to continue through the first two rounds but did advise handlers of any eliminating faults committed. This permitted some valuable training and experience to be gained over 3 retrieves without disadvantaging those dogs who went on to compete in the third round. Cold game available included Rabbits, & Wood Pigeon but most of the test was run on Grouse and all competitors were offered a brace to take home! Tommy Jacobsen and Pernille Lillevang from Denmark were introduced and made welcome at the start of the test. Members were also advised to visit www.nymmo.org to see first hand, the work our good friends on the North Yorks Moors are doing to protect not only the sport of Grouse shooting but also the many species of red and amber listed birds on our moorland. I was given a donation and have also contributed myself. I hope many others will do the same. By lunchtime many dogs had eliminated themselves. Our Game throwers had worked tirelessly to produce 84 retrieves and were given a bit of a break in the third and final round. The judges constructed a mock drive with 9 dogs lined up in Sugar Beet 40 yards from a boundary of Poplar trees with a field of stubble beyond. 15 or so birds and shots rang out as a distraction. Dogs were then sent in the opposite direction on blind retrieves for game planted some 40 yards out in the stubble. Dogs were required to take a line out beyond the distraction of the Poplar trees and work out of sight and control of handlers. A stiff test for novice dogs but 4 of the 9 completed, and with two judges standing forward, to watch work on the stubbles, a final result was achieved. 3rd Verrad Finefly, Mark Wilson. I record our thanks to the owners of the ground, our Judges, Sponsers, and all who helped on the day. A rather special thanks to club President, Mr John Jewitt who helped organise and run the event and presented the prizes. 1st Francis Wright with Levenghyl Dancing Teasel. 3rd David Brown with Gunslip Insignia of Bearbrace. COM to Amy Bates with Levenghyl Rock N Roll. 12 Dog, All Aged Field Trial at Dallowgill. Pateley Bridge. October 13th 2016. When two A panel and two non-panel judges are teamed with a mix of guns it might be considered a little risky. On a bright, almost perfect Autumn day, on the wonderful Dawnay Estate, Wykeham near Scarborough – it proved to be a fantastic days sport. When the FT Sec has plenty of helpers and the dog steward has to control more spectators than competitors in the gallery, it suggested that a healthy club had been lucky enough to be invited to very popular ground. 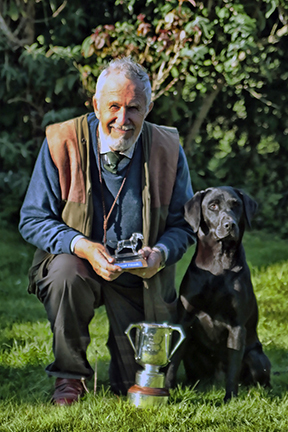 Head Keeper and Steward of the beat, Matt Steadman, had been granted a day off from running his 100 plus shooting days and his professionalism and energy were infectious. 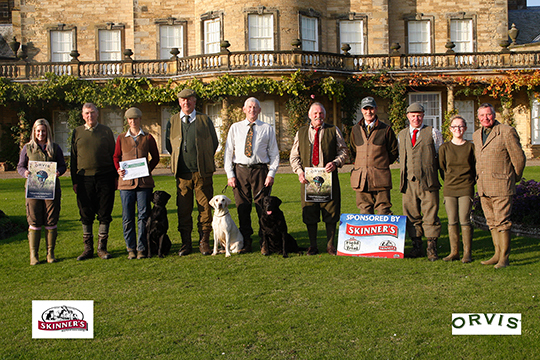 Skinners dog food and Orvis of Harrogate maintained their much appreciated sponsorship of this seasons events. The first two rounds saw a steady flow of game including Pheasants, Duck, Partridge and Hare. Lunch was taken in glorious weather with the estate providing facilities normally enjoyed by those paying to shoot there. 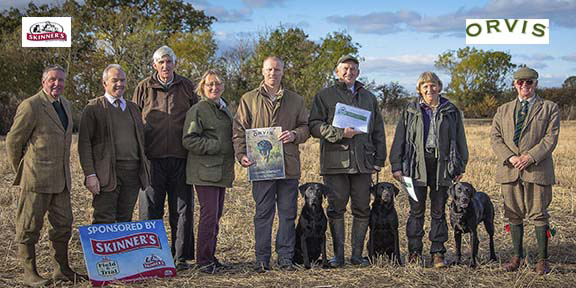 The Judging team of Roger Kyte, Mick Newsam, Keith Eastwood and Sinead Wilkinson took the opportunity to review scores in detail, and took forward 7 dogs. Derek Coulson then eye wiped 3 dogs on a retrieve across a difficult valley. All three dogs handled way above novice standard. In the next round Derek suffered the joy and pain of trialling when his dog picked after being recalled and was eliminated. Well-deserved, and final results were, first Stefanie Latham running Fendawood Diesel, second Paul Stogden running Routengill Hazel. Guns choice Derek Coulson running Brockdale Moss. All made possible by the kind generosity of Dawnay Estates and I take this opportunity to publicly say thank you very much indeed. Thanks also to the clubs committee, and all who helped. I sincerely hope all Field Trial secretaries will have a day such as this, and enjoy it as much as I did.